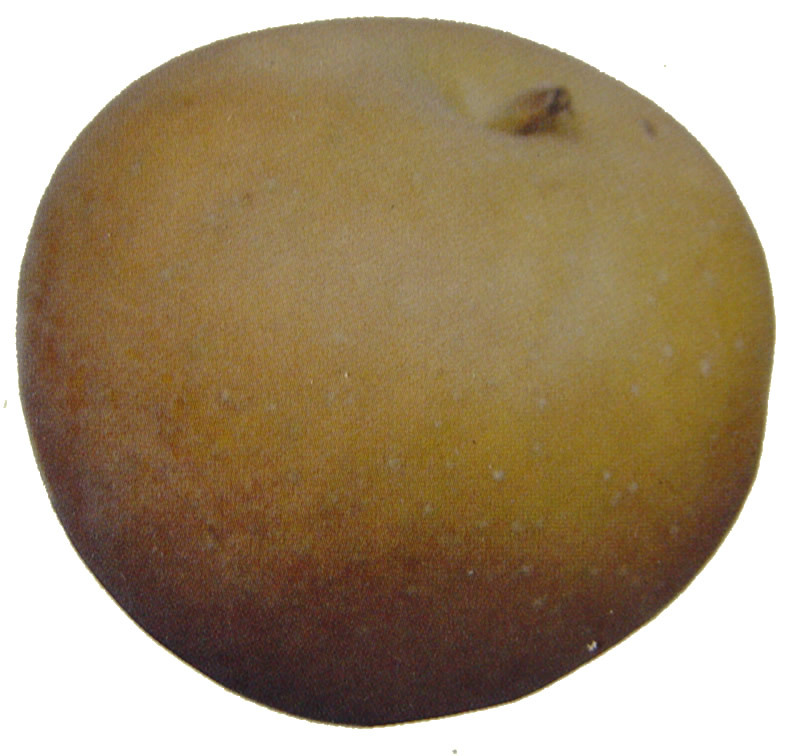 A wonderful russet if you like fully russeted apples. It has a nutty sweet flavour. It is of average size, and it is ready to pick by the middle of September. It keeps reasonably well, provided the trees did not go short of water during the growing season. The fruit has a crispy bite to it when picked. Shrivel can be reduced if the fruit is kept in a polythene bag, with holes in the bag for adequate respiration of the apples. The bottom of the fridge is the ideal place for storage if you want to keep the apples until Christmas. It is a wonderful pollinator, suitable for most apple varieties. The tree is upright in habit. It does not like too close planting. It is fairly vigorous and, when well pollinated, it is a regular cropper. A well-drained clay soil is ideal for this variety.